Environment counts for a lot when it comes to learning. It can influence motivation, concentration, memory, and attitude. We want our classrooms to be places students look forward to coming to each day, places that feel welcoming, safe, nurturing, and fun. When students feel positive about their environment, they’ll also feel more positive about what they’re doing in that environment and be more willing to engage with you, the material, and each other. While you do have to put a little time and effort into developing a positive classroom culture, it’s never time wasted, as positive energy always leaves behind a trace in some small way. A touch of humor, color, meaning, or inspiration here and there can go a long way. Create surveys at the beginning of the school year to get to know your students better and gauge how to offer more personalized instruction. Determine their likes and dislikes with regard to subject matter, learning style, and pace. Throughout the year, check in at least once a month with students to show you care. You don’t have to ask them “How am I doing as a teacher?” but rather “Is what I’m doing working for you?” or even “Are you enjoying learning?” The point is to show you’re genuinely invested in their learning. With this White and Green Bar Graph Survey, you can hand out the survey for students to fill out, tally their scores, and then present the results to the class (using the same template, with the bars filled in) for discussion. Warm colors keep us feeling cheerful and alert; cool colors promote calm and reflection. Think about which colors you’re using when you create decorations for your classroom, make slides for lectures, and design handouts and worksheets. Black-and-white may be the most cost-effective option, but you might be surprised what a little color can do for student engagement. Canva has countless resources available to help you use color wisely. You can design a color theme for your classroom walls and decorate them with flyers, posters, banners, and photo collages. You can tempt the eye and the brain with colorful assignments or presentations. You can even make color—and therefore learning—feel personal with unique name tags, labels, and other classroom accessories. These bookmarks add a splash of color and a special touch of “ownership” to a student’s relationship with literature. Let students design their own or hand them out at the beginning of class. You know the old refrain: “When are we going to use this in real life?” It’s that student in the back of your precalculus class, sitting with his chin on his fist as you solve yet another problem using the quadratic formula. Well, it’s a fair question. Try to connect learning with the real world as often as possible. Don’t wait for students to ask, or to drift off onto another mental plane. Offer up the connection right away, and emphasize it regularly, to keep learning relevant. While the quadratic formula itself may or may not come in handy, you can talk about how hot the engineering field is at the moment, and that engineers use advanced math all the time to build robots, launch rockets, develop cities, create advanced maps, and more. Too often we teach theory without grounding it in practice. Help students get excited about what they’re learning by giving it a sense of urgency or personal relevance, or at least by showing how it’s used by others in the real world. For English or language arts students who aren’t so keen on doing their reading assignments, put things in perspective with this Literacy Charity Infographic, which illustrates the importance of literacy around the world. The jewelry store Tiffany’s recently began offering events, such as Sunday brunch, at some of their locations in the U.S. The point, said their marketing director, is to create “instagrammable moments,” since younger consumers are more experience-oriented and see less value in material objects, like diamond necklaces, on their own. We learn best when education feels like an experience. That’s because information sticks to stories better than it sticks to notebooks. When we have a chain of events or a unique context to associate it with, new information feels more meaningful and becomes easier to recall later on. 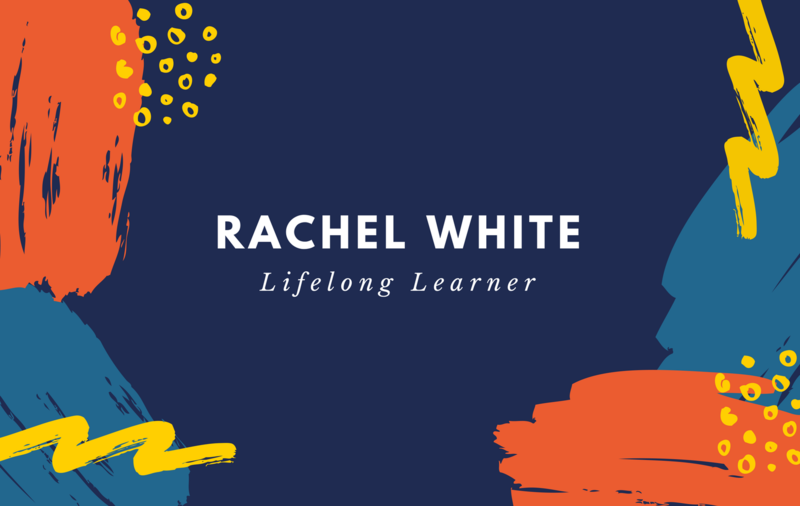 Luckily, Canva offers teachers a chance to make each learning moment experience-based simply by letting students design and create along the way. By taking learning into their own hands and engaging with it in a creative way, students are setting themselves up to remember the material better and improve their performance on exams. One idea is to have students interview each other as they complete projects to help them become more aware of their own learning process and to make learning more of an experience to be documented. Take direction from this Pottery Art Photo Collage, which lets students capture learning in action. 05. Create a class social media account. It may be a while before it’s considered cool to post your school work on your personal Facebook page, but class Instagram and Pinterest accounts might just do the trick for now. Set up a few social accounts for your class and invite students to follow and take turns managing content. Start off with a question to be answered: What does the learning process look like? Hold a discussion and ask students to be on the lookout for classic “learning moments” that capture learning in action. A few examples might be before-and-after drafts of essays, finished presentations, group projects that are underway, or short videos of students talking about what they’ve learned. You might think photo-snapping in class could easily get out of hand, but it’s a good opportunity to teach digital citizenship skills. What makes a photo worthy of being shared? What makes it unworthy? You’re bound to get some interesting insights. Begin with a Twitter account and hashtag for your class and design a banner like this Orange and White Simple Stars Liberation Day Twitter Header. Choose a new quote each day to display as students file into class. It can be a quote that prepares students for the lesson ahead or has its own lasting value. It can be an excerpt from a book, a speech, a film, or any other source of your choosing. Take a moment or two once the rowdiness has died down and students have settled in to read the quote aloud and give it a chance to sink in. It will set the tone for the rest of the class period. You can discuss it for as long as you have time for, either at the start of class or at the end. Canva has countless templates for designing such quotes, with basically any kind of background, layout, color scheme, font, and icons you can imagine. You can create a bunch of these quickly and keep them in your My Designs folder for easy access later. Try out a template like this Inspirational Education Quote School poster and see where it takes you. Students tend to think of their teacher as the sage-on-the-stage, the all-knowing harbinger of information. But it doesn’t have to be this way. In fact, students are more likely to be engaged if there’s an expectation, early on, that learning should sometimes happen together. If you’re a writing professor, share your own writing with your students. Don’t just read it to them—workshop it and ask for honest feedback. This creates both a learning opportunity (students get to hone their editorial skills) and a bonding opportunity (showing respect for them and their opinions). A little humility goes a long way. Whatever your subject, set aside a block of time, maybe once a week, to discover a few things together. This ritual of shared discovery can be one of the most memorable and motivating learning experiences of a student’s education. There’s nothing quite like an “Aha!” moment shared with twenty other students and a teacher. Use this Pink Coffee Mug Simple Note Card to discover and record a few new facts together each week. You can do the research together in class or ask students to do it as homework and bring it in to share with everyone the next week. When students work together, they learn more than the material at hand. They learn to support each other, empathize, lead, negotiate, listen, and trade skills. These are skills that not only create a valuable classroom culture but also follow students outside of the classroom and into the real world. Canva is an amazing tool for collaboration, teamwork, and group projects. If you want to foster a sense of camaraderie amongst your students, let them discover Canva’s potential together. Assign a group project that requires a presentation, and give students as much creative freedom as possible in designing and executing it. 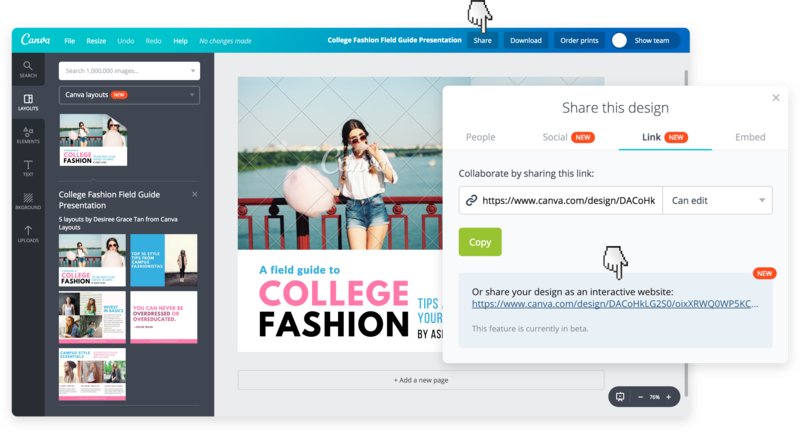 Canva’s presentation features include options for students to invite others to view or edit their designs, create unique URLs for their designs which other students can open up as web pages, and create teams to work on the same design simultaneously. Draw some ideas from this Pink Vector Social Media Technology Presentation. Show you truly believe in your students and they will rise to the occasion. The attitude should be one of pride in your students before they’ve even given you a reason to be proud. If you treat all students as the best versions of themselves, they’ll be energized by your belief in them and motivated to try harder in class. 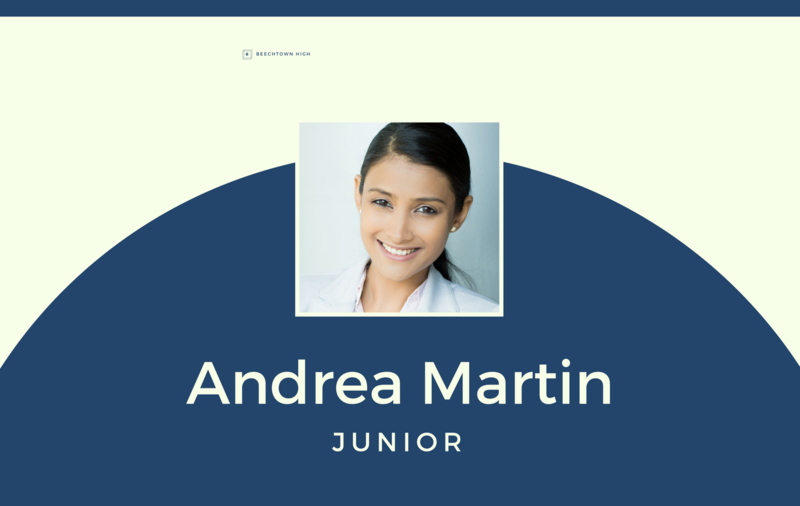 Create Learner (not Student) ID Cards for each member of your class. You can laminate them and place them at each student’s desk or ask students to wear them while they’re in your class. The idea is to make students feel like they are valued for their individual identities as learners, and that they each have something unique to contribute to the class. Try this Blue School ID Card for starters. You can also browse through labels, tags, name badges, and cards. Whenever you can, take even a brief moment to acknowledge that learning has occurred and to celebrate it. Students are at school because they have to be, but if we can help them realize that an education is something to be earned and valued, not taken for granted, they will be more interested in it. Kevin Dougherty, a sociology professor at Baylor University in Texas, found that students in his introductory course performed better when he held “learning celebrations” rather than “exams.” After he started decorating his classroom with posters and streamers, serving treats, and playing music on these days, nine out of ten students reported they enjoyed “learning celebrations” and forty percent strongly agreed. You can create your own learning celebrations with Canva’s posters and banners, or you can simply use a Certificate of Completion like this Pink and Green Fruits Completion Certificate to celebrate the completion of a unit or term. When you’ve got so many tools at your disposal, the hardest part of creating a positive and valuable classroom culture is knowing when to stop. Positivity breeds more positivity, and soon you’ll be designing decorations and learning celebrations in your free time to keep the good vibes flowing. Students may even be inspired to help. Share your passion for education by making your classroom not just a classroom but a home.